Did Channing Tatum Exit Gambit for a DC Movie? Last week, we reported that Warner Bros. has found a replacement for the departing Seth Grahame-Smith on The Flash, with Dope director Rick Famuyiwa coming aboard. As it turns out, if you had been following the director's Twitter, there were clues that he was boarding a DC movie, as he started following a number of people involved in the DCEU, such as Cyborg actor Ray Fisher, Batman himself Ben Affleck, director Zack Snyder and Wonder Woman star Gal Gadot. There is another intriguing development with his Twitter activity, which may hint that Channing Tatum has left 20th Century Fox's Marvel adaptation Gambit in favor of a DC movie, possibly The Flash. Channing Tatum was one of the many other accounts director Rick Famuyiwa followed last week, including comic book artist Mark Waid, DC Films' chief Geoff Johns and the official Twitter accounts for both Suicide Squad and Wonder Woman. 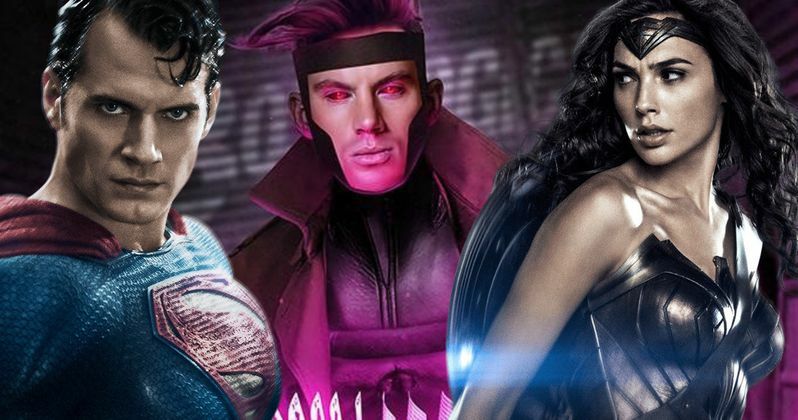 Since Channing Tatum is the only one in this list who isn't officially connected to a DC project, many have speculated that this could mean the actor has jumped ship to DC. Of course, we won't know for sure until an official announcement is made, but it's possible since Gambit was recently delayed due to script issues. We reported in March that filming on the Gambit movie was originally supposed to take place this spring, but filming was delayed to later this year, with the studio pulling the movie from its previously-announced release date of October 7, 2016. Channing Tatum's writing and producing partner Reid Carolin has taken over the scripting duties on Gambit, which still doesn't have a director in place after Doug Liman left to make another movie, The Wall for Amazon Studios. We haven't heard anything about Gambit's progress since that report from March, so it's entirely possible that the project simply fell apart, with Channing Tatum possibly moving on to The Flash or another DC project. Of course, it's also possible that Rick Famuyiwa just followed the actor because he was a fan of his work, but since Channing Tatum was followed by the director at the same time he followed other DC luminaries, many think there could be a connection there to Channing Tatum signing on for a DC movie. It's worth noting that Channing Tatum hasn't followed Rick Famuyiwa back on Twitter, and he doesn't follow any of those other accounts associated with DC. Still, given the lack of progress and/or updates on Gambit, we're still not sure whether or not this movie will eventually make it to the big screen. Stay tuned for more updates on Gambit and Channing Tatum's possible future in the DC Extended Universe. Take a look at the image below showing the accounts Rick Famuyiwa followed recently, including Channing Tatum.